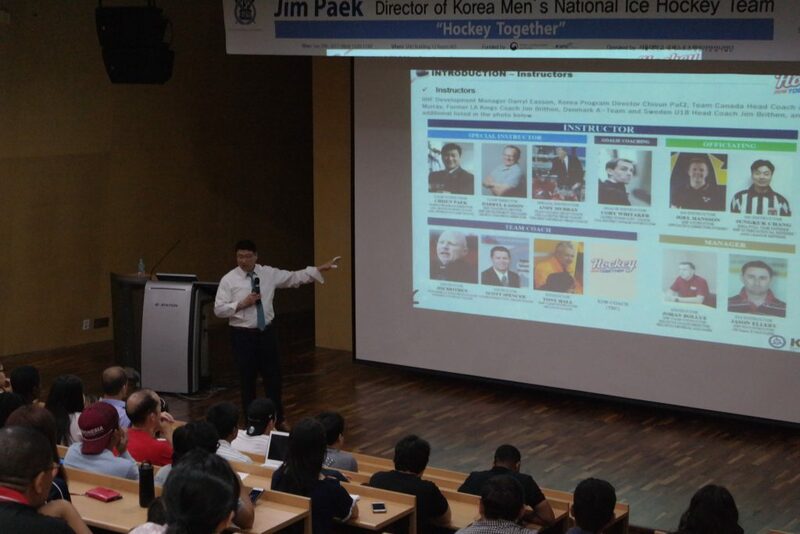 On September 20th, DTM had a special lecture with a very special guest from the Korea Ice Hockey Association, Director Jim Paek. 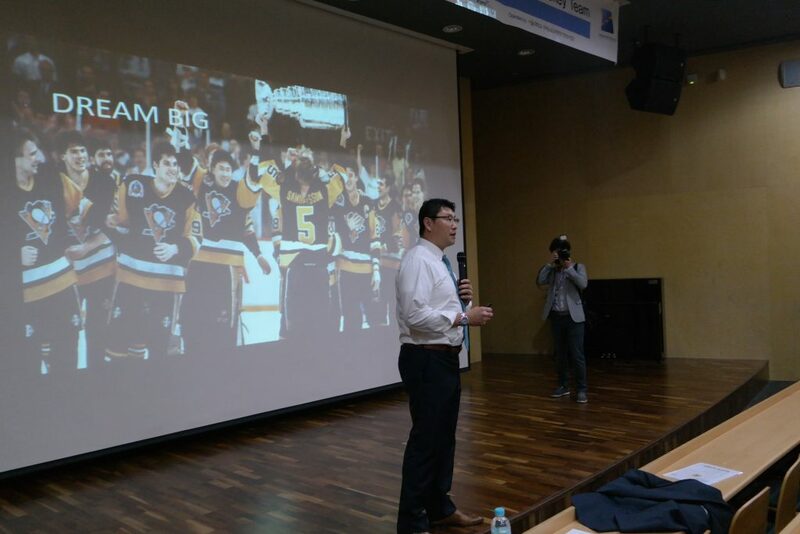 Director Paek was the first Korean player who played in the NHL and won the Stanley Cup which is the championship trophy awarded to the NHL playoff winner twice. Now, his jersey is displayed in the Hockey Hall of Fame honouring this feat. 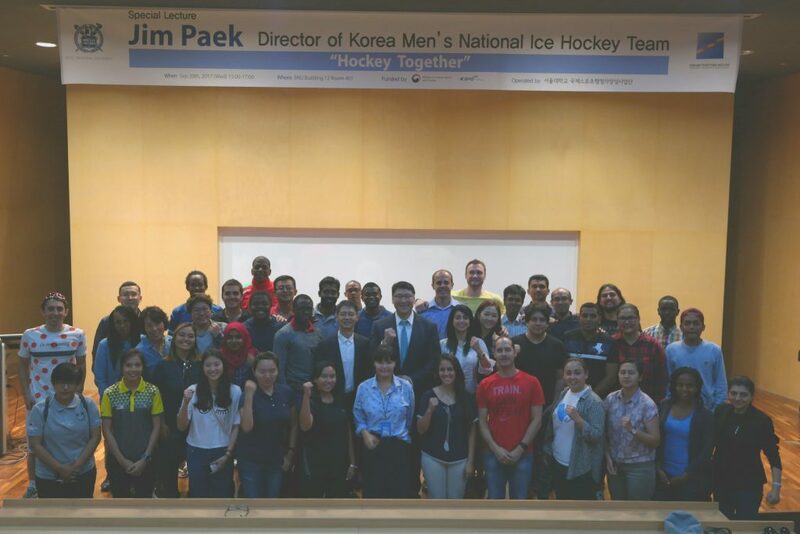 Korea Men’s National Ice Hockey Team led by the Director Paek won second place in the 2017 Division A tournament and thus qualifying for the top division in 2018 IIHF World Championship. He gave a presentation with the tile of “Hockey Together”. 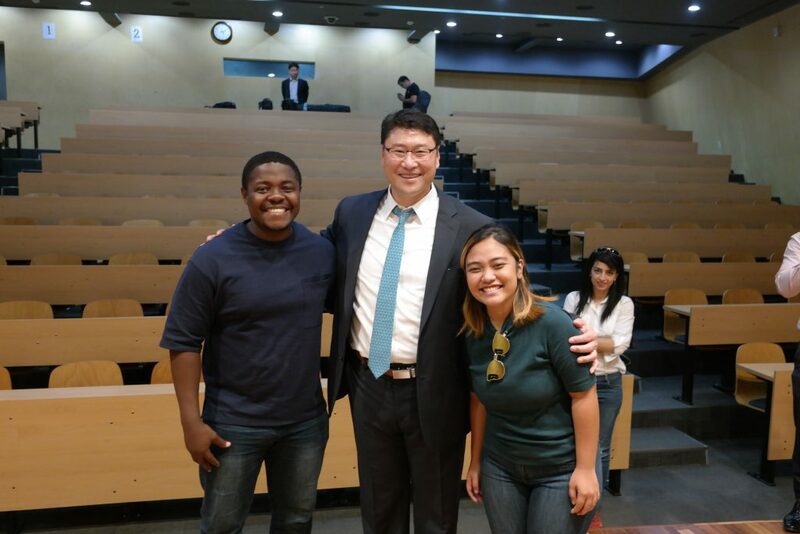 During the lecture, he emphasized that strong leadership is needed for victory, and proper attitude, passion, and sacrifice are the essential elements for the strong leadership.